Location: Lebanon Public Library, Lebanon, Oregon. Jim Denison (b. 1927) spent more than sixty years working in Oregon's forests as a timber cruiser, land surveyor and forestry consultant, co-founding two companies along the way - Denison Surveying and Coastal Land Management. 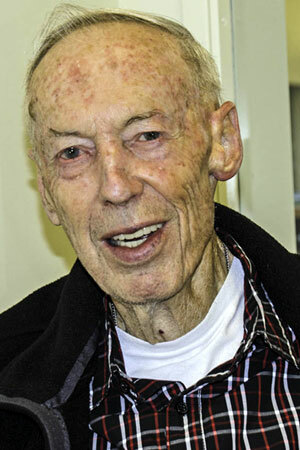 A World War II veteran, Denison attended Oregon State College from 1946-1950, majoring in Forest Engineering and funded by the G.I. Bill. The primary focus of his interview is his long and multifaceted career in forestry, with his OSC and military experiences included as secondary topics.